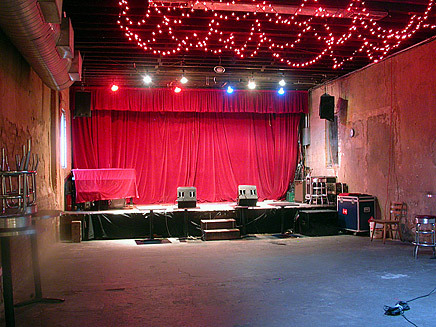 Avant garde and experimental music club Tonic ( 107 Norfolk Street, lower east Side, Manhattan) operates on a curatorial system. Each month, different musicians program Tonic's New Music, Songwriter & Klezmer series. Past curators include John Zorn, Susie Ibarra, Alan Licht, Sonic Youth, Vernon Reid, Arto Lindsay, Zeena Parkins & Will Rigby. Its performance space was captured in surround using Audio Eases trusted DPA 4006's and Tonic's own PA system for extra authenticity.